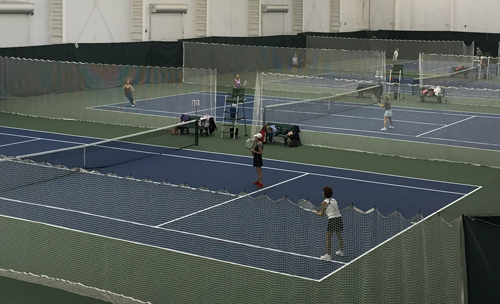 The Tose Family Tennis Center is comprised of six indoor hard courts to enable year round play. The Fluegel Moore Tennis Stadium is comprised of six lighted outdoor hard courts. The Brigade Sports Complex is home to both Navy Men’s and Women’s Tennis teams which compete at the varsity level. The tennis calendar and forms for all of our programs are available along the right side of this page.